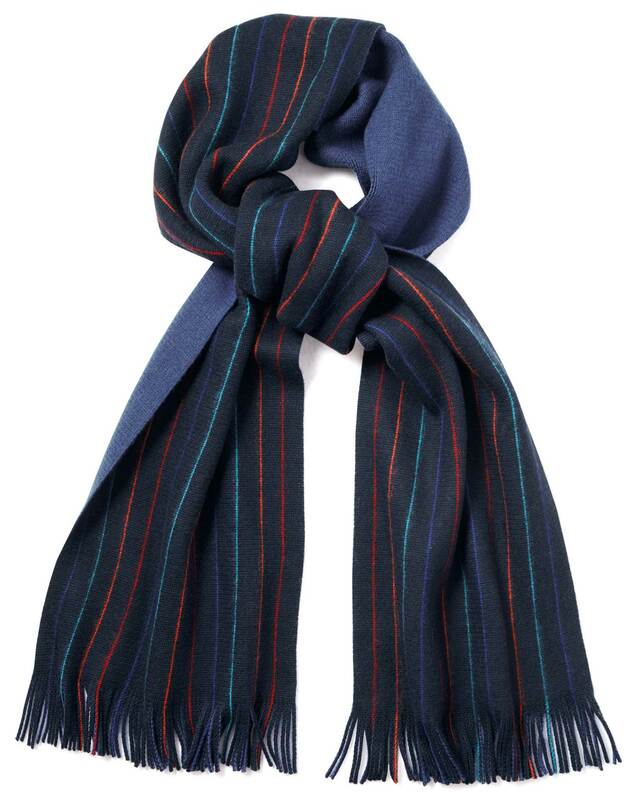 "The stripes of this buttery-soft merino scarf have been carefully designed to complement any outfit. It’s a ruddy good job they have, too, because I’ve taken to wearing mine non-stop." "This knitted scarf has been carefully brushed to make it even softer than normal merino wool."